Many thanks to the family of the original owner Roy Mason, a true cricketing legend for Wigston Cricket Club in Leicestershire, for passing the game on to me for the website. 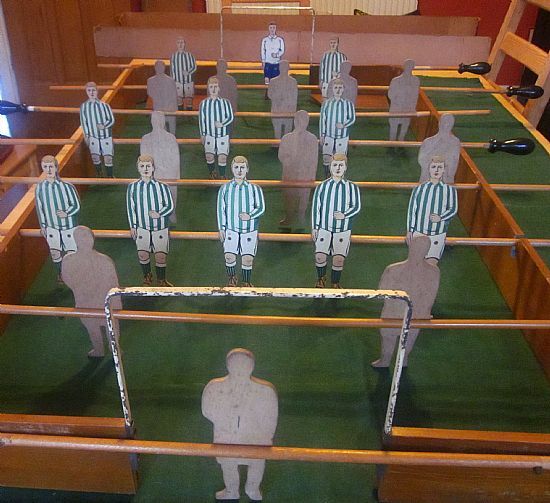 The game is a classic table football 'foosball' game probably from the early 20th century judging by the kits and boots. My guess early 1920's. 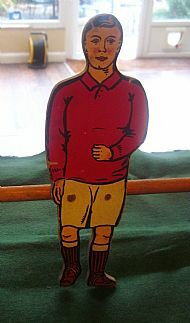 I have another game 'Bang It In' that uses exactly the same figure print but that does not have a makers name either. 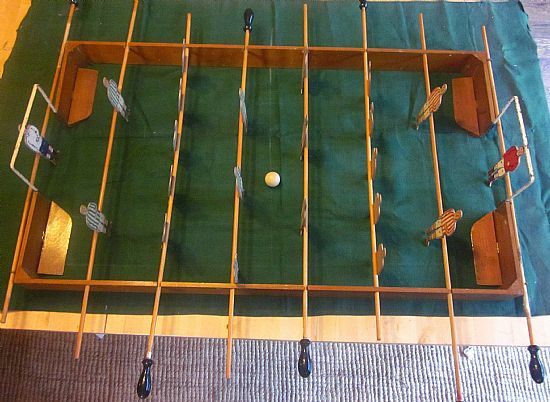 UPDATE - Another game using identical players was posted on ebay recently with the makers name being Roberts and British made. 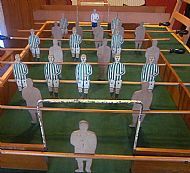 Do you know what this game was called? 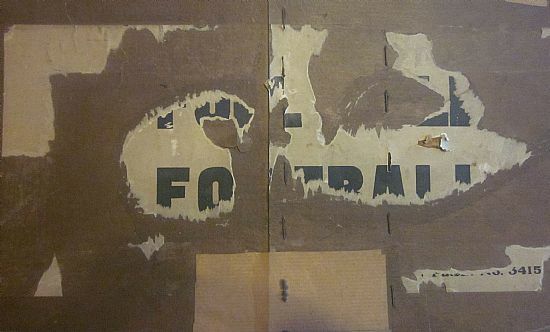 A tantalising mystery on the box lid. I can work out FULL ?? ?LD FOOTBALL so my best guesses are FIELD, WORLD, HELD, BUILD but nothing comes up on Google - help! 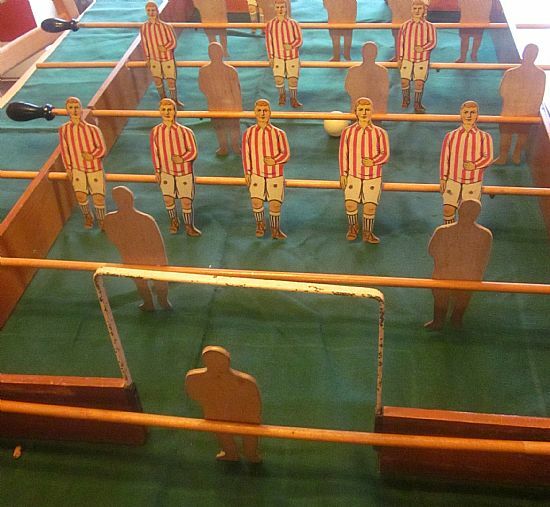 A very well made high quality wooden surround with wooden poles and wooden players. Originally had baize pitch attached to the base. 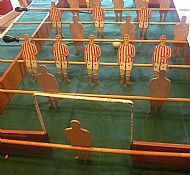 The game makes a very impressive display piece being about 120cm long and over 60cm wide with brightly coloured players. 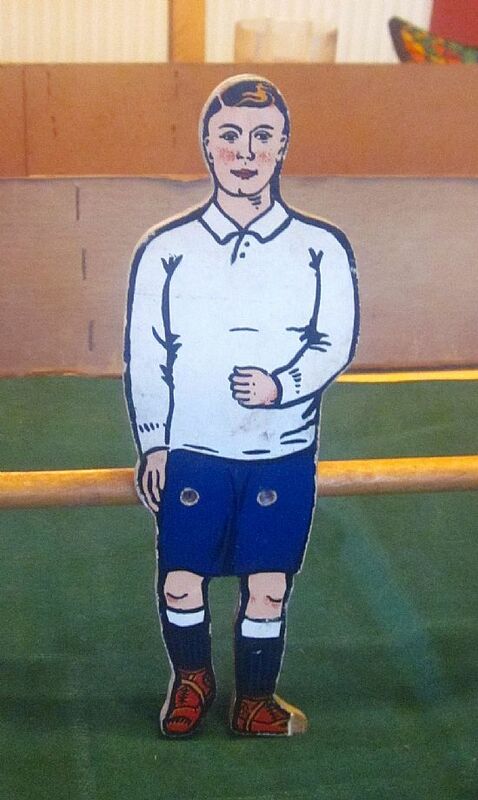 Bertie Fotheringham-Smythe had not yet mastered the application of lip stick. 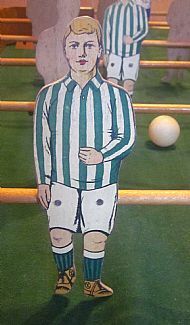 A plywood type wood with printed football figure. 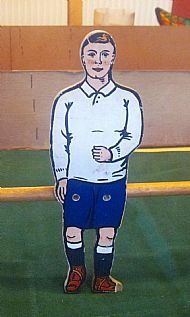 Do you recognise the maker or game? 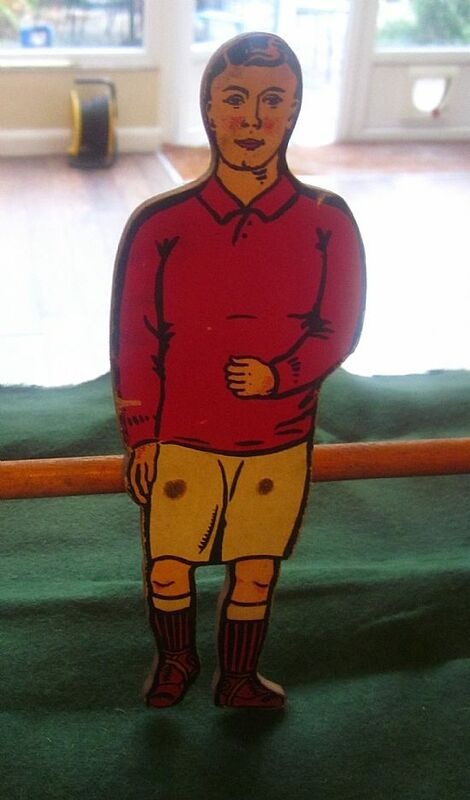 This rosy cheeked cherub keeps goal for the red team. Impressive looking set up. The goals are metal hoops that hold the whole pitch together. 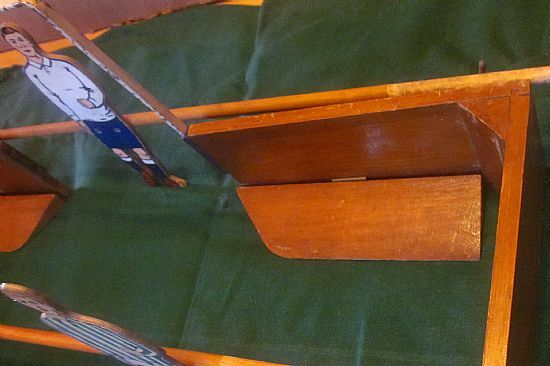 There are four wooden corner flaps that help keep the ball in play - very high quality woodwork. 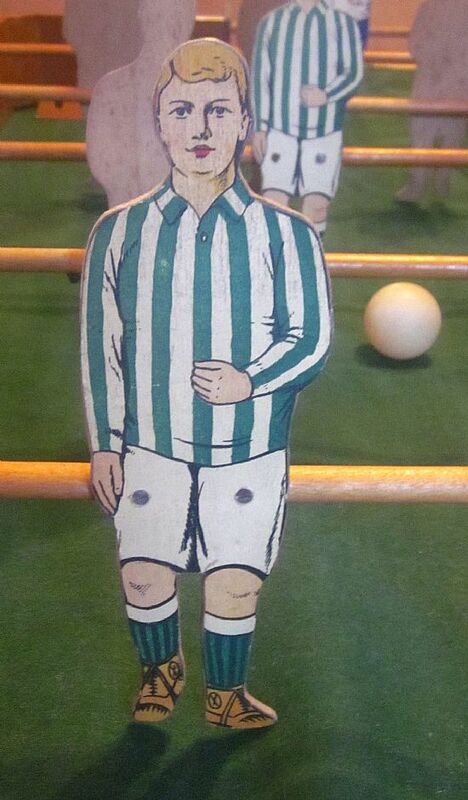 The green team keeper has the same laid back pose as his team mates. Highly polished lovely looking handles on the poles.